Republican presidential Candidate Donald Trump, points toward Republican Vice presidential candidate Gov. Mike Pence of Indiana after Pence's acceptance speech during the third day session of the Republican National Convention in Cleveland, July 20, 2016. Donald Trump has made a name for himself over the last few months as an advocate of improving relations with Russia. However, there are a number of people with contrary views among those who may form part of his administration – so what can we expect? One of the characteristics of the election campaign of U.S. president-elect Donald Trump was its distinctively pro-Russian slant. He complimented Russian President Vladimir Putin on being a strong leader, stated that the U.S. and Russia must fight ISIS together and said that he would even review the issue of lifting sanctions and recognizing Crimea as Russian territory. However, not everyone on Trump's staff shares his opinion, with some even strongly criticizing Moscow. This raises the question of just how pro-Russian the Trump administration will be in reality once the new president takes office. There will be at least one critic of Russia's policies in Trump's future administration: Vice President-elect Mike Pence. During the vice-presidential debate on Oct. 4 with Tim Kaine, the Republican suddenly made statements on Russia that were much harsher than those of his partner in the presidential race. Speaking about the Syrian problem, Pence said that "provocations by Russia need to be met with American strength," adding that strikes against the troops of Syrian leader and Russian ally Bashar al-Assad would be possible. This is a drastic contradiction of Trump's statements about a possible U.S.-Russian alliance against ISIS. In the same debate Pence called Putin a "small and bullying leader" and stressed that the only reason for Moscow's success on the international arena is the weakness of departing U.S. President Barack Obama. Bloomberg observer Leonid Bershidsky sees two possible reasons for the difference between the rhetoric of Trump and Pence: They may be working according to the "good cop-bad cop scenario," alternating praise with criticism of Putin, or they may truly be in disagreement. "It could also mean that a Trump administration would have internal debates about where cooperation with Putin would be possible," Bershidsky wrote in October. Will the future secretary of state favor containment? 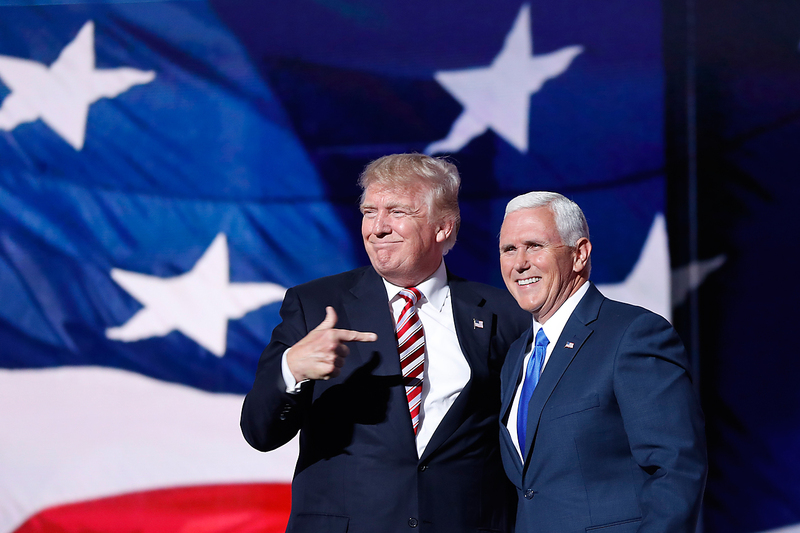 Yevgeny Minchenko, a political analyst and president of the Minchenko Consulting communication holding told RBTH that besides Pence there are other politicians among Trump’s supporters who speak in favor of containing Russia. One of them may, according to the American mass media, become secretary of state. Republican veteran Newt Gingrich, who has been tipped by U.S. broadcast network NBC to head the State Department, said in 2014 that Russia would possibly unleash its aggression against countries where (like in Crimea) there are ethnic Russians and therefore it is important to contain this threat. He also champions the supply of arms to Ukraine to guarantee Europe's security. On the other hand, according to Minchenko, there are people in Trump's team who favor interaction with Russia and speak about it as openly as he does. One of them is Michael Flynn, former director of the Defense Intelligence Agency and a candidate for the post of national security advisor. Flynn sees Moscow as an important player in the Middle East, one that is also capable of influencing Iran. The former intelligence officer believes that Moscow and Washington must stop flexing their muscles and engage in real cooperation in the Middle East. "The bully game between the U.S. and Russia is going to achieve nothing, only more conflicts," Flynn said on the Russian state-owned TV news channel RT in 2015. Minchenko also noted that Jeff Sessions, a possible candidate for the job of defense minister, according to Politico, is also an advocate of improving relations with Russia. During the election campaign Sessions backed Trump's statements on dialogue with Russia: "We need to figure out a way to end this cycle of hostility that’s putting this country at risk and costing us billions of dollars,” he said. Richard Weitz, director of the Center for Political-Military Analysis at the Hudson Institute, states that despite the differences in opinions within Trump's team, the decisive point of view will be the one belonging to the president. "I believe that President-elect Trump sincerely wants to improve relations with Russia and that he plans to make some policy changes to achieve that goal," Weitz told RBTH. "Some of the people under consideration for senior posts have expressed views that differ from Trump, including regarding Russia. But in the end they will execute the policies decided by the White House." Yevgeny Minchenko believes that the main impediment to Trump's establishment of relations with Russia is the U.S. Congress, which is dominated by the hawkish wing of the Republican Party, one that usually has a negative stance on Russia. In order to change Washington’s policy concerning Russia, Donald Trump will sooner or later have to reach a compromise with his own party.